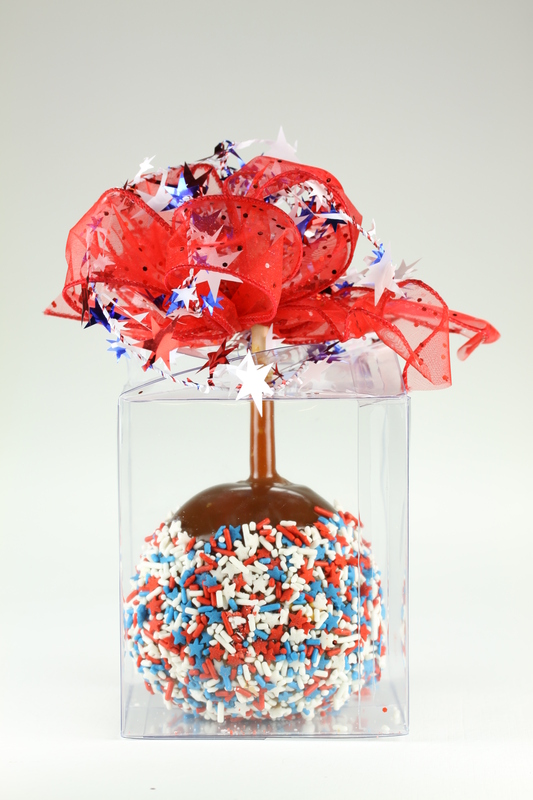 Caramel Apple created with Daffy Apple Traditional Caramel and Red, White & Blue Sprinkles & Stars in a Clear Plastic Caramel Apple Box. Posted in Bulk Caramel, Daffy Farms, Decorating Ideas, Delicious Pictures, The Daffy Apple and tagged 4thofjuly, blue, bulk caramel, caramel, caramel apple, caramel apples, daffy apple, daffy farms, dipping caramel, event, fireworks, july, red, stars, summer, traditional, white chocolate on July 2, 2014 by daffyfarmsblog. ← Q & A Tuesday: How Are Daffy Apple Petite Caramel Apples Shipped?